Quinton’s voice has been burning up film and television since he first arrived in Los Angeles from his native Cleveland. 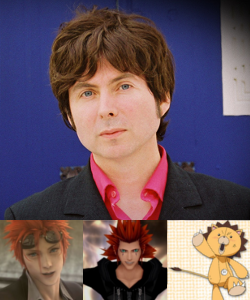 He is an A-list voice actor, having played such famous animated characters as Jonny Quest, Spiderman, Speed Racer, The Human Torch, Timon, Snowbell in Stuart Little, just to name a few. His television and film appearances include Teenage Mutant Ninja Turtles, King of Queens, Animaniacs, Woody Woodpecker, Robot Chicken, and many more. 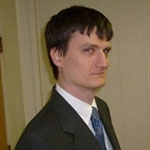 Chris Rager is an American voice actor for Funimation studios. More notable performances are as Mr. Satan and King Yemma on “Dragonball Z”, as well as, Arlong the leader of the fish people on the popular “One Piece”. Chris has been seen in national and regional T.V. commercial ads like Taco Bell, Southwest Airlines and Visa. Although he enjoys the T.V. exposure, Christopher holds voice acting closer to his heart. 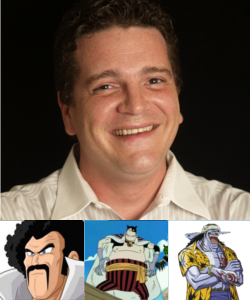 You may have also heard Chris in Animes such as Blue Gender, Case Closed, Black Cat, Desert Punk, Lupin III, Full Metal Alchemist, Yu Yu Hakusho, Samuri 7 and Sgt. Frog. Chris has also been heard in such video games Spike out: Battle Street, Stuntman Ignition, Bloodrayne, Roadkill and many others. Chris always looks forwards to his next voice over role, hoping he can bring a high level of talent and professionalism to such characters. 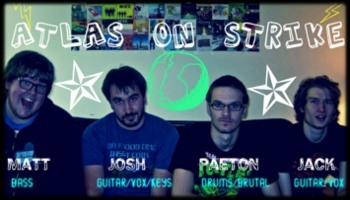 Atlas On Strike is a 4 piece Pop-Punk band hailing from Minneapolis, MN. A new band on the scene, Atlas On Strike has already released and EP and full-length album as well as feverishly played a multitude of shows. Their upcoming album "This Is Life" is set to be released Spring 2012. 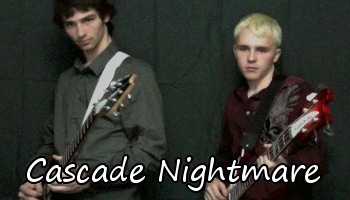 Cascade Nightmare is a local anime theme cover band from the Cedar Rapids area. They have been a band for almost 2 years, and anime fans for... ever. Started as a side project their anime covers quickly took over their time and priorities. They currently have two members Sebastian Foreman(Lead guitar, Backup vocals) Mike Stuefen (Lead vocals, Bass) and their drum machine RC-30 (Drums, Keyboard). Aegis essentially started as an IT service and training organization; in short, Geeks with swords. From this beginning Aegis evolved from the vision of founder and pen-y-cat Sal Sanfratello, a native New Yorker who grew up in a swordfighting tradition that has been handed down in his family in Sicily for more than a thousand years. In addition to his skills as a swordsman, Sal's training at the Xavier Academy, an elite military high school in NYC, has made him an expert in the hand-to-hand combat and wilderness survival techniques taught by the US Army. Aegis is a martial arts academy, but Aegis Academy isn't “just” a martial arts academy because Sal Sanfratello isn't “just” a martial artist. In addition to martial arts lessons, classes feature subject-matter-experts in everything from international relations and history to tactical leadership and management.